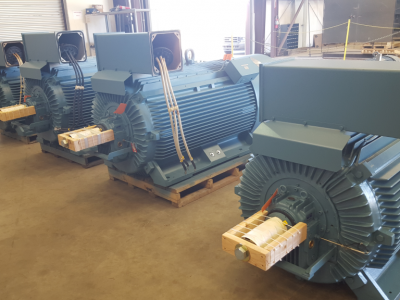 During a spring outage, a Power Generation Customer had need for a quick refurbishment of two 800HP and two 900HP AC motors. Holding to schedule as well as keeping in mind the customer’s budget was important for a successful outage. Upon inspection, the four motors, although aged, were generally in good condition except for an issue that required an expert solution. 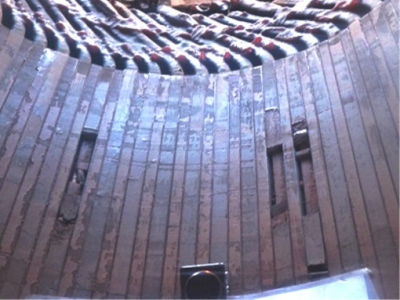 • All four motor showed signs of high stress on the wedges that secure the coils in the slot. • Wedges and top fillers had completely broken off leaving large gaps that exposed the coil ground-wall insulation to the elements. • Other wedges were pitted due to previous wedge material breaking free during operation. 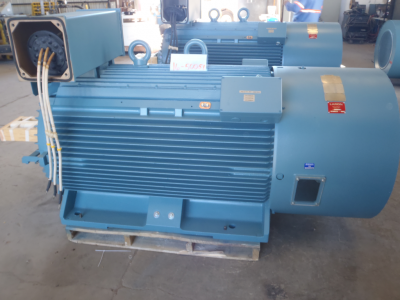 • The quick timeline and budget constraints eliminated the option of a rewind even though the customer was aware that the windings were aged and should be replaced soon. • The motors were expected to last for a minimum of six more years in service. Taking tools to a winding system is a solution that requires very high attention to detail and trustworthy, knowledgeable craftsmen that have responsive management and engineering support. Communication between the customer and the repair shop is absolutely critical. Laron is one of very few companies that can be trusted with such a surgical repair. • The wedges were tested and found to be magnetic wedges. 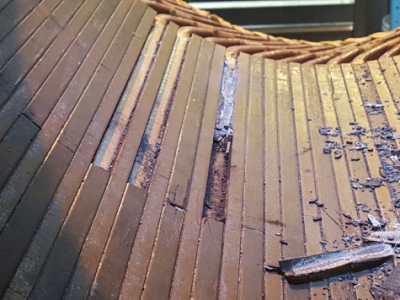 • With extreme caution and precision to not damage the coil insulation system, the damaged wedge sections and top fillers were removed and the exposed coils were cleaned of debris. • New magnetic wedges were hand-fabricated to fit each wedge groove, with G-11 top fillers inserted under the wedge for a secure fit. 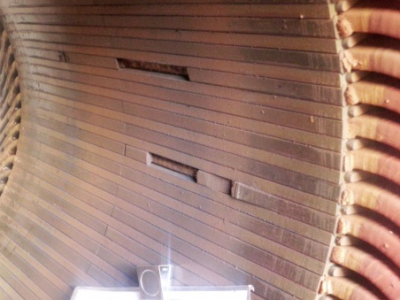 • The windings were electrically tested to ensure a successful repair with no damage to the insulation system. 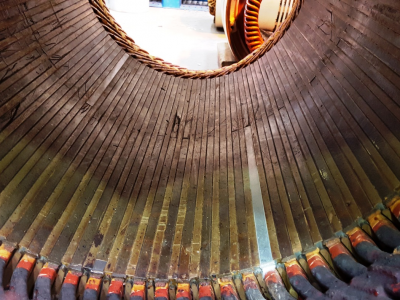 • Finally, the repaired stator underwent VPI and baking to increase the life of the motors for six years until they could be removed from service for a rewind.